Lovely 20" x 20" oil painting/collage on canvas. 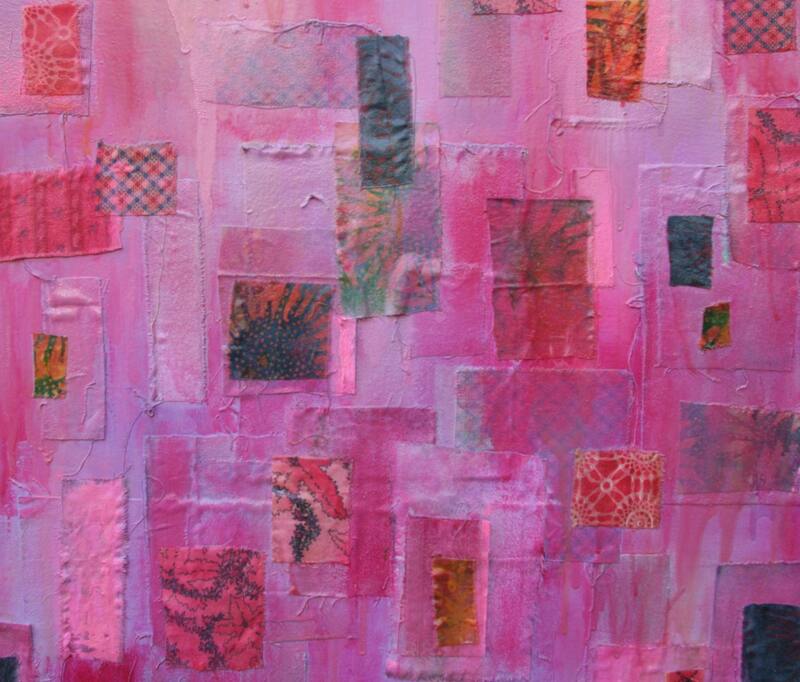 Cotton fabrics layered and combined with oil paints and mediums give this piece depth, color variations and play that capture the eye and imagination. ready for hanging.